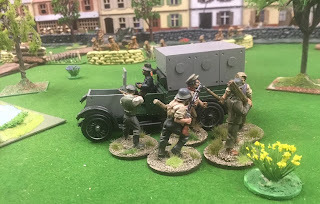 Last Monday we again revisited The Great Antipodean Adventure campaign and the A World Aflame Osprey rules. 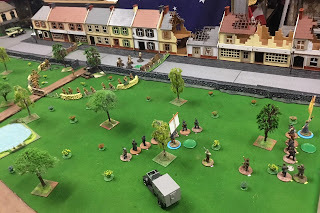 In this game Unionist forces try to relieve a detachment of Federal infantry from the 30th Battalion of the 18lb cannon that the All Australia Party and the Anglican League failed to secure during the skirmish on May 20 in Beaconsfield Park…the result was a stunning victory to the regulars, the Federal infantry secure in their fieldworks had no problems dealing with the uncoordinated charges of the Union mobs! They suffered only two casualties compared with 30 plus to the Unionists. Thanks for the AAR Captain – it made for an interesting read. Tell me: how do you find the "A World Aflame" rules? I've quite enjoyed a number of Osprey's wargaming titles, but I've always been dissuaded of picking up this title by the low review ratings it seems to garnish on most book sellers webstores.